These cookies are crunchy on the outside, chewy on the inside and loaded with granola and chocolate chips. 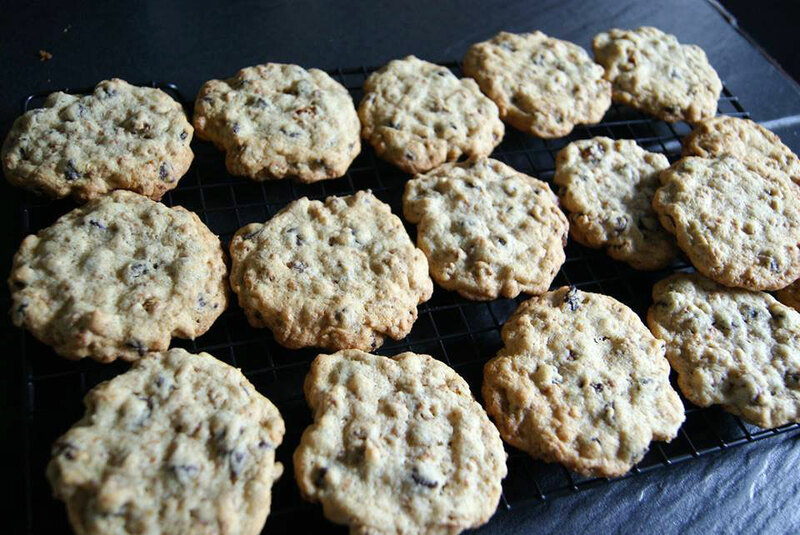 A perfect snack for chocolate chip cookie lovers! Who likes granola raise a hand. Me too! It is sooo good, and super healthy, and tasty. Granola is something that you always find in our pantry. As for me, I love it in greek yogurt with a drizzle of honey on top, or in fruit crumbles (my favourite is mango/blueberry crumble). But lately I discovered that is also super delicious in cookies together with chocolate chips. These cookies are crunchy on the outside, a bit chewy on the inside, slightly sweet and loaded with granola and chocolate chips. 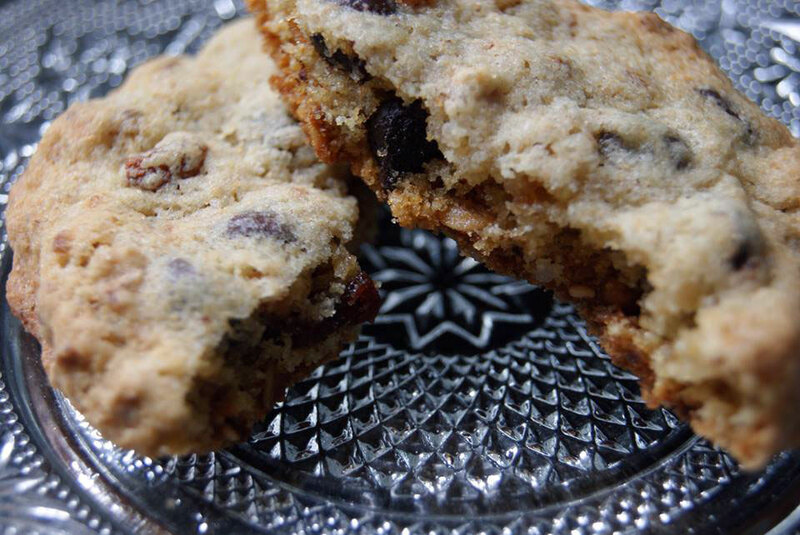 A perfect snack for chocolate chip cookie lovers! Start putting the oven racks in upper and lower thirds of the oven and preheat to 375°F. In an electric mixer beat together butter, sugars and vanilla, at high speed until pale and fluffy, about 3 minutes. Then add the egg until combined well. Reduce speed to low, then add flour mixture and mix until just combined. Lastly, stir in the granola and the chocolate chips. Drop 16 mounds of batter about 2 inches apart onto 2 ungreased large baking sheets, then pat each mound into a 2 1/2-inch round. Bake cookies, switching position of sheets halfway through baking, for about 10 minutes, or until pale golden brown. 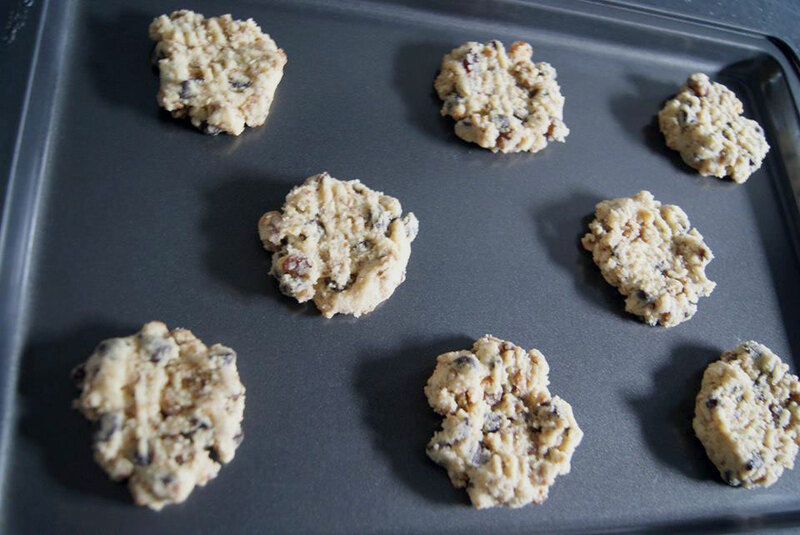 Cool on sheets for 1 minute, then transfer the cookies on racks to cool completely.